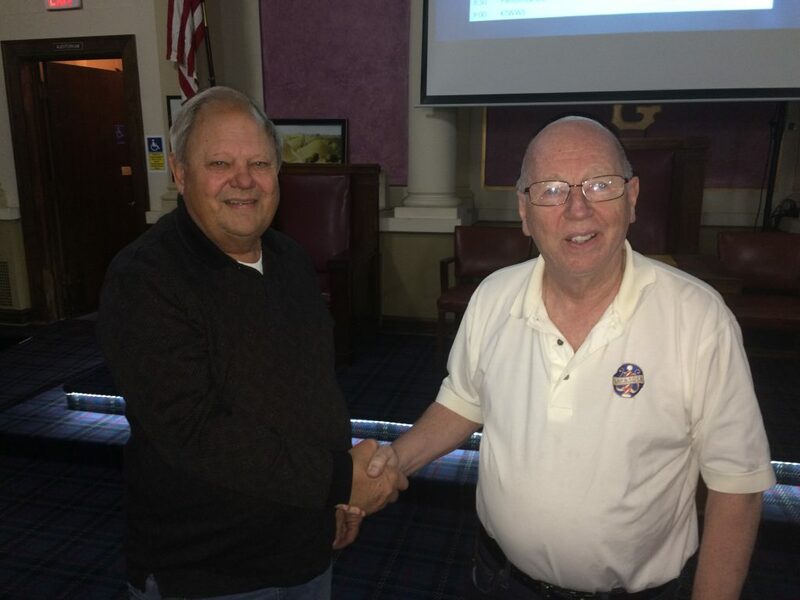 Tom Read congratulating Cal Birkey on his membership renewal at the January 10 chapter meeting. Cal has been a member of the chorus for seven years and has served as marketing assistant maintaining our mailing list. He has been a member of two quartets, County Corridor and Timeless. 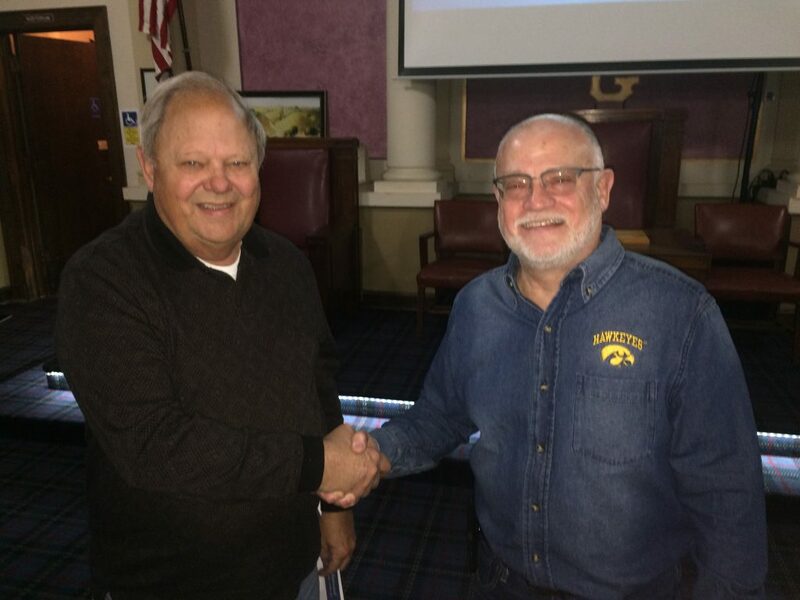 Tom Read congratulates Cliff Newman for his membership renewal at the Jan. 10 chapter meeting. Cliff has been a member of the chorus for just one year, but is a 33-year member of the Central States District and a 34-year member of BHS. 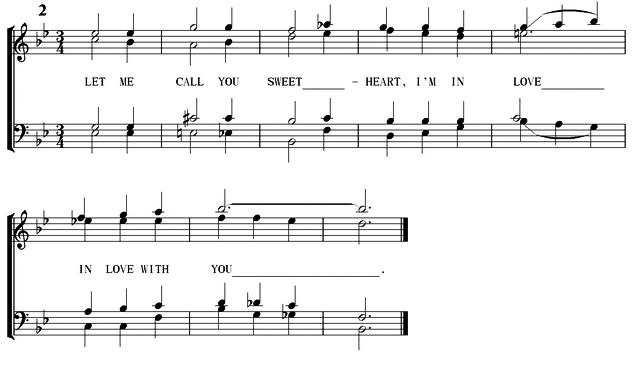 Cliff loves quarteting and is currently singing with Timeless, his fourth quartet over the years.